. Knit So Simple: i'm So Excited ! i've named the adventures for the year: String of Purls will be the tab at the top of this blog that will be like the jewelry box full of patterns for the scarves and techniques we learn along the next 12 months. And the Au Pair Project will become the gift basket with which we fill with all the fun new and tiny and soft and sweet little baby gifts ... have you given any thought yet or has the Lord shown you where you can make a difference ... where you can share these sweet gifts with new moms? i'm not quite ready to publish the pattern yet, but let me give you a sneak peak into where we're headed for January. I'm calling this the Squeeze Me scarf and it's looking like you'll need 2 skeins of a bulky weight yarn and 1 skein of a worsted weight. You'll also need 2 different pair of needles: 15s and 11s. 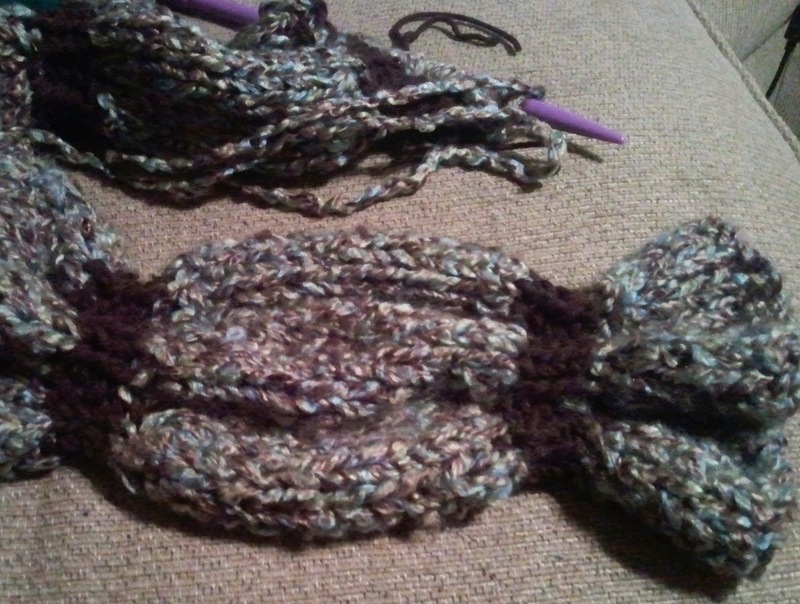 Other things to check out: how to do a cable cast on, k2tog and M1 by knitting into the front and back of the stitch. The Cable Cast On will make for a pretty edge at the beginning of the scarf and we'll have a pretty finish when it's all said and done to compliment it! 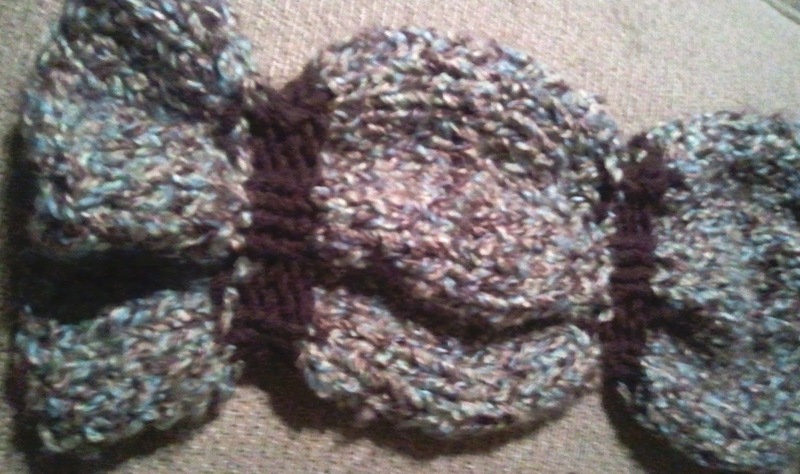 For the little hat i'm envisioning, i'm thinking bulky weight for the little one too! AND little ear flaps AND a pom pom to top it all off! Do you remember how to make those pompoms with the cardboard squares that you wrapped 200 times .. and then trimmed it down? if not, get ready! it's going to make you just sit and grin! All this planning made a difference in how things went yesterday .... i found myself less distracted by things around me and more focused on things that i could do for others! Imagine that! 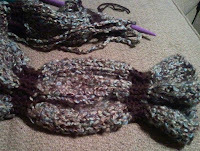 i pondered on this scarf ... i knitted on this scarf ... i ripped OUT what i knitted on the scarf .. and i started over... again! and again! and yet again! BUT i'd still sum the day up as successful because of all the things i learned that WOULDN'T work. 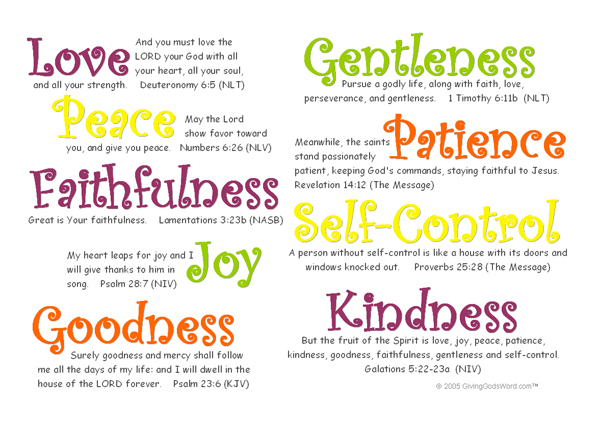 and isn't that much like our walk with the Lord? He measures our success in several different ways, if you stop and think about it. Learning to rest and rely on Him is the Ultimate success story. Trusting Him with child like faith requires a totally different mind and heart than what the world teaches us. and yet, there are times when we fall so short of this trust ... when i try to do things on my own. Failures, disappointments, set backs - - all sum up my attempts and yet, God uses them in my defining process as well! Seems He has PAIRed things up for me to prosper and learn ... to Taste and See that He is good by using ALL things to work together!